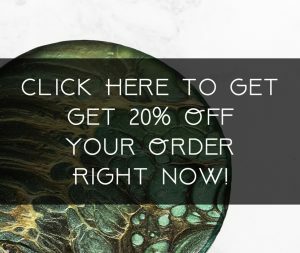 Mini metal copper colored tray featuring original Sunshadeau Arts resin pour designs. 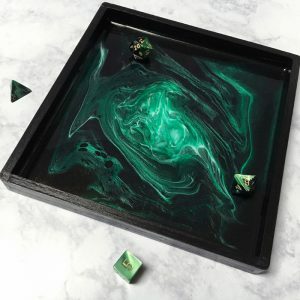 Each tray features an original, one-of-a-kind acrylic and resin poured design. Some trays may include decorative additives to the acrylic and resin (ie glitter, foil, crystal, etc). Each tray is hand painted and completely one of a kind. Makes a beautiful addition to any decor or gaming set. Please note that these trays are very shallow. May not be appropriate for dice rolling.